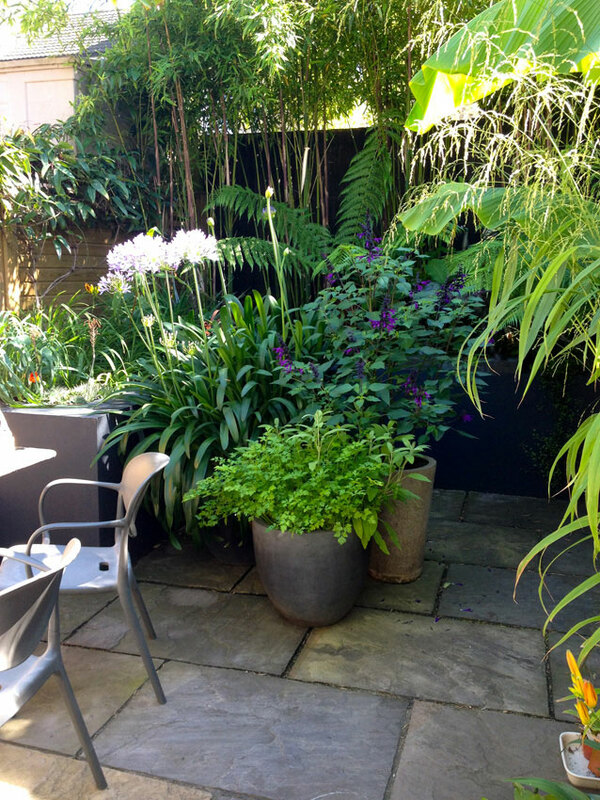 A very small south facing urban back garden was crying out to be developed into a private chill out space to compliment the newly refurbished interior. 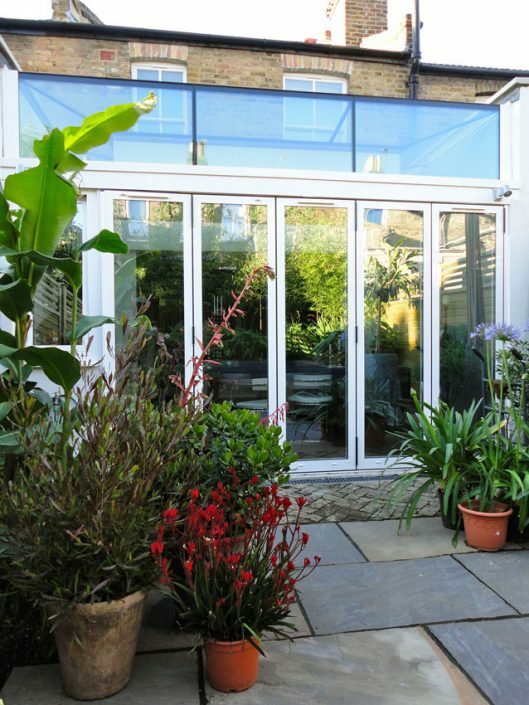 The clients had completely renovated their old Victorian terraced house and gone for a modern glass extension that blended superbly with the contemporary rustic interior. 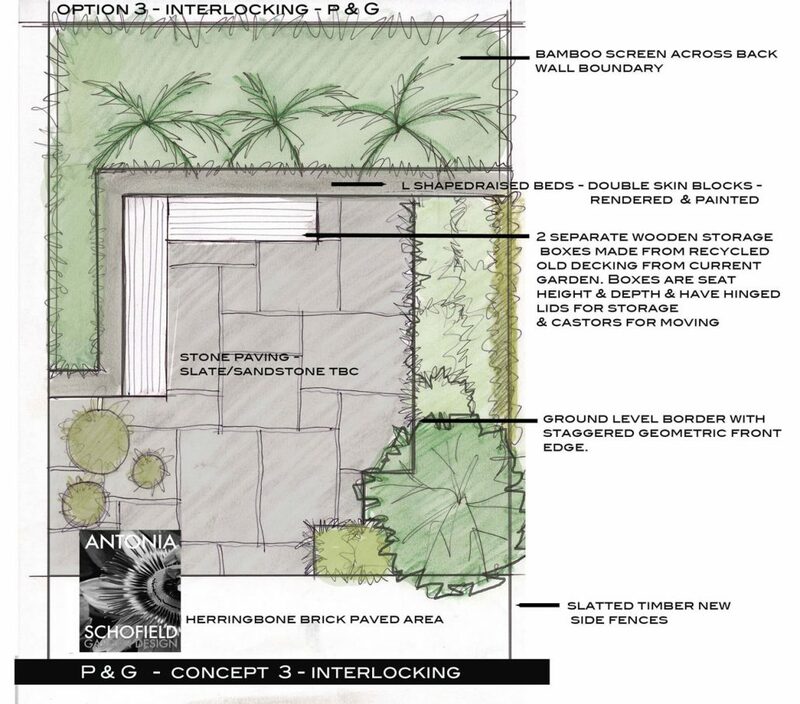 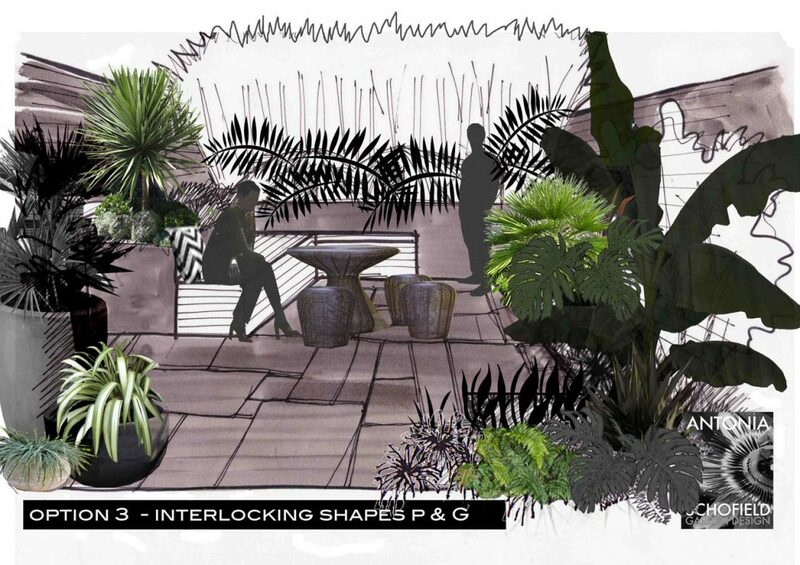 So the design brief was to mirror both the contemporary & vintage themes in the garden scheme. To create the ‘vintage’ look weathered grey sandstone paving was laid to the lowered ground level, and substantial raised block planters were built, rendered and painted a chic charcoal grey to give the modern twist to the scheme. 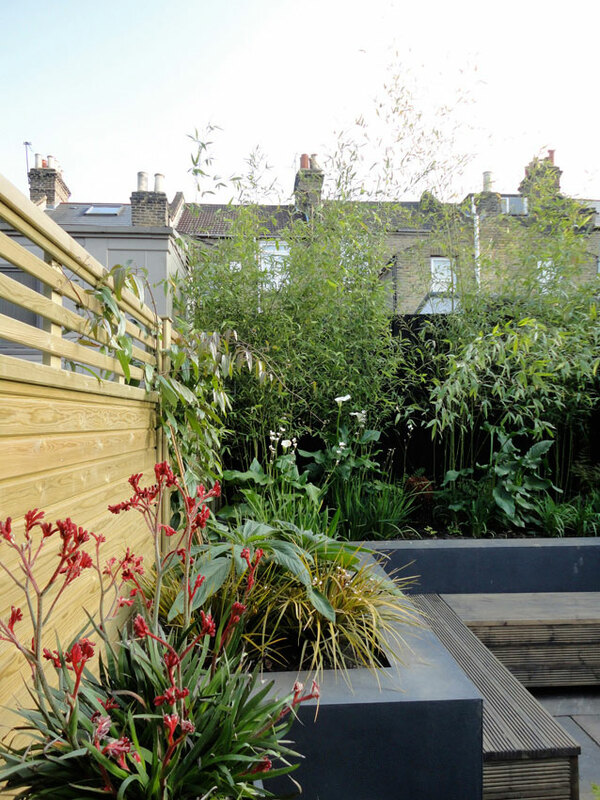 The raised planters were constructed to give height & seclusion to the planting and provide the main structural element. 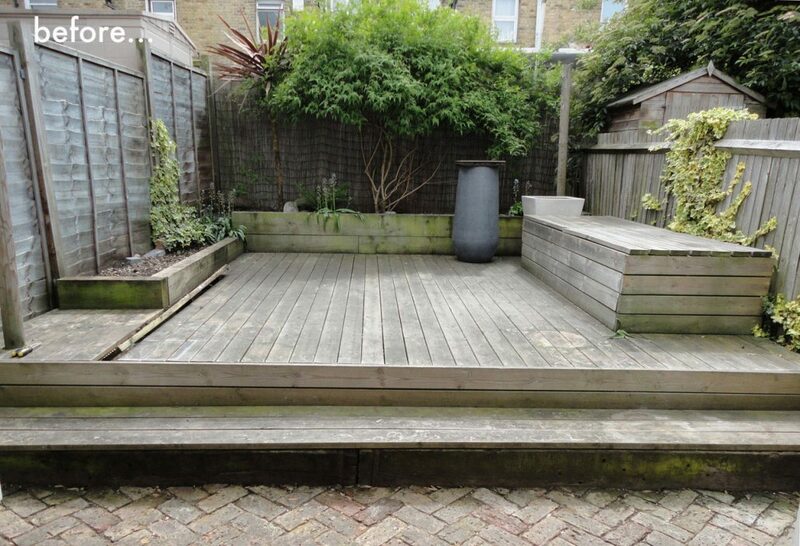 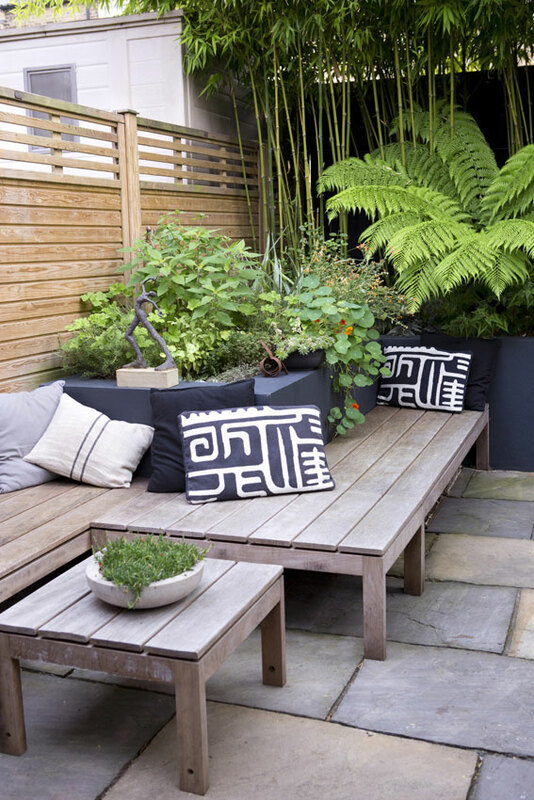 Chic new slatted fences were also installed on both sides to further enhance the privacy. 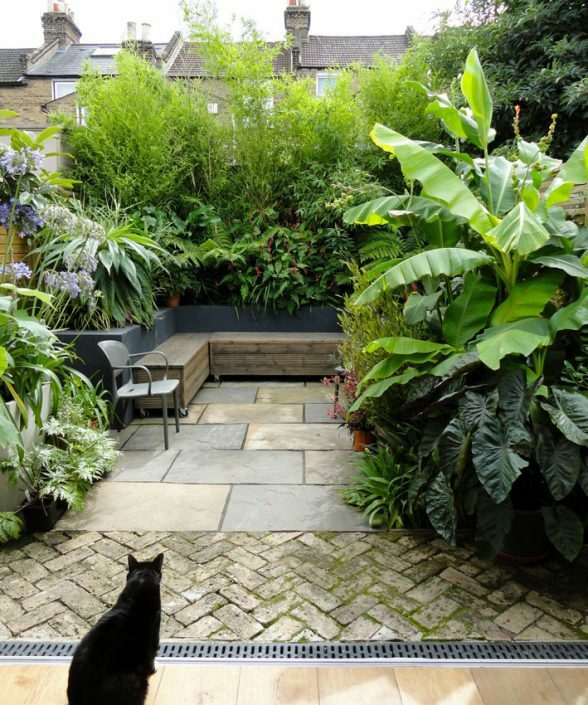 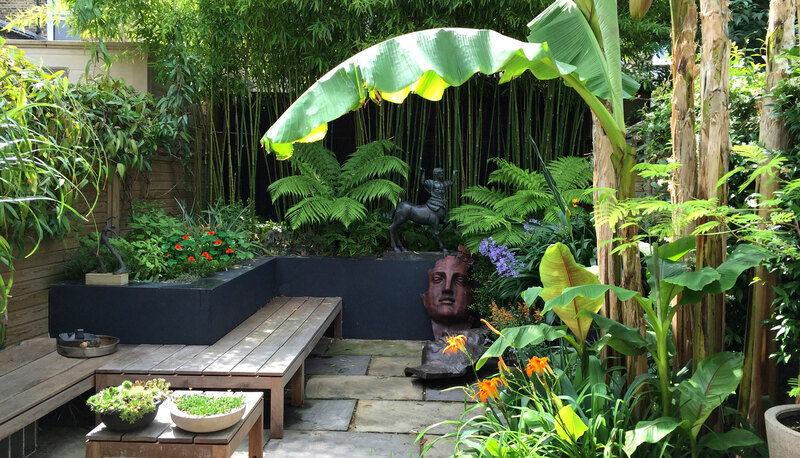 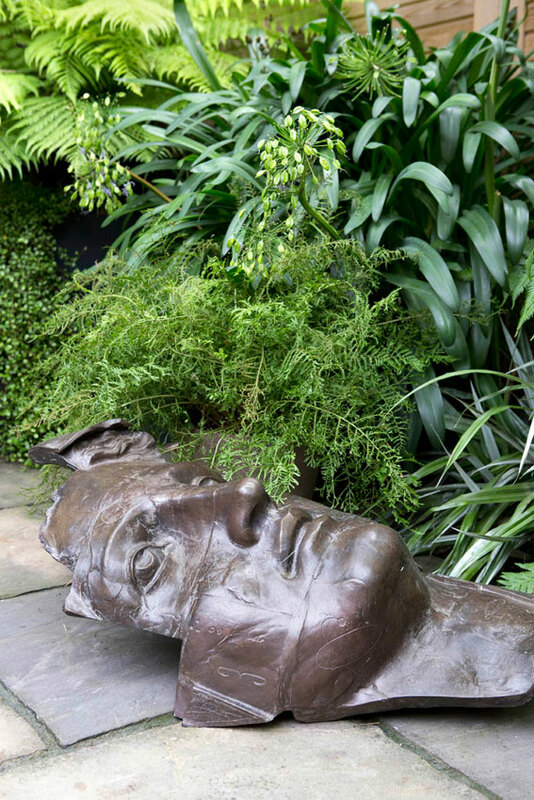 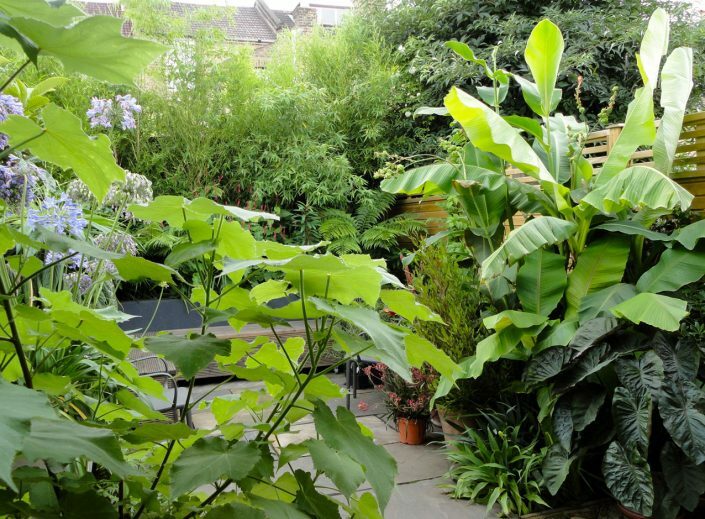 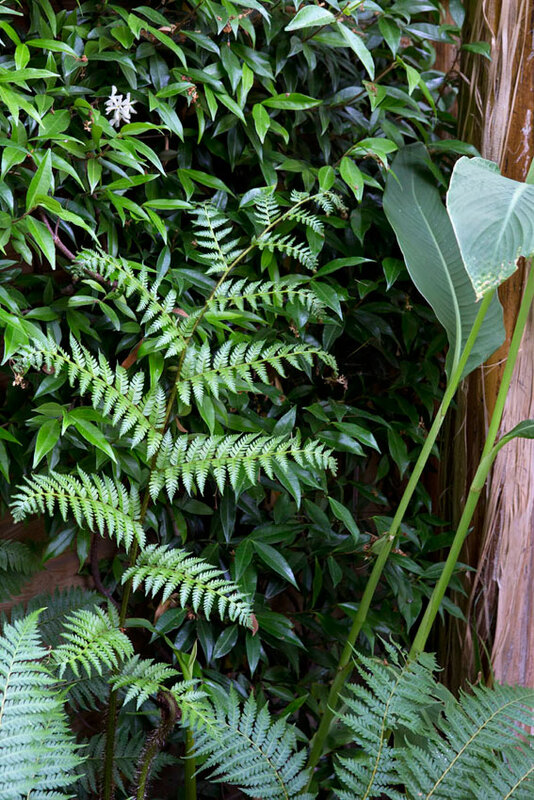 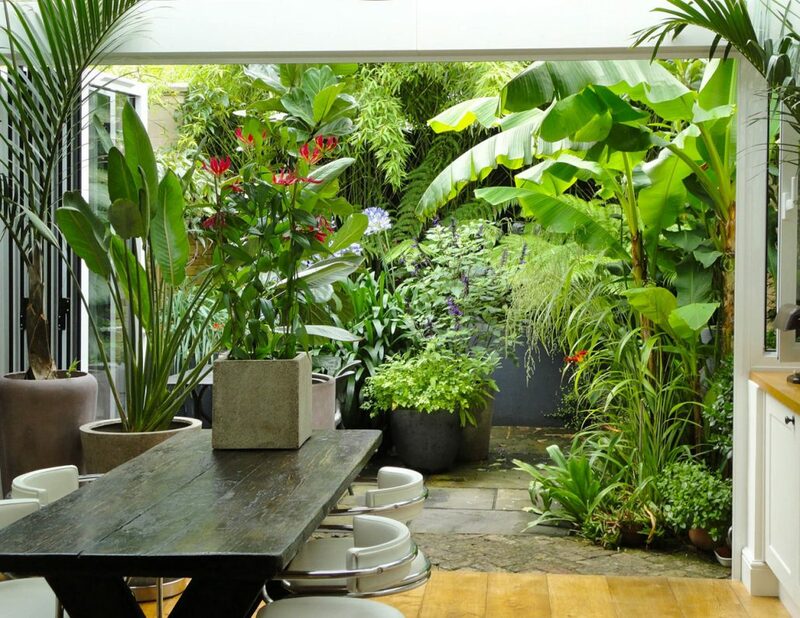 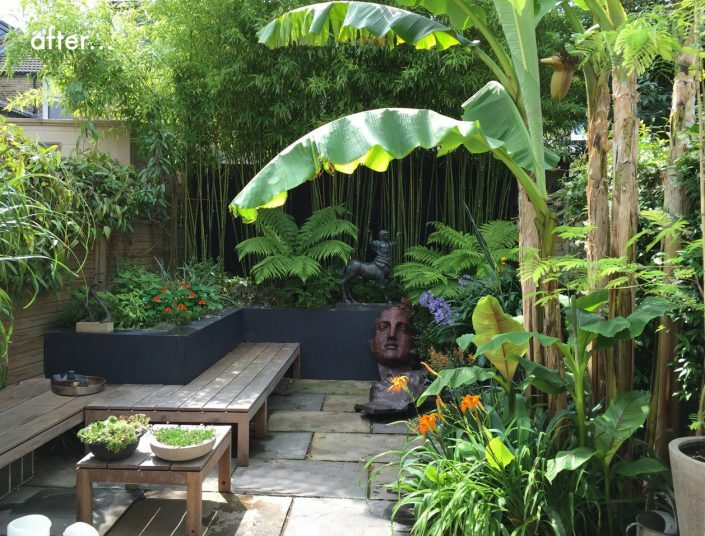 The clients are passionate plant collectors and requested a lush and exotic planting scheme packed with unusual foliage plants. 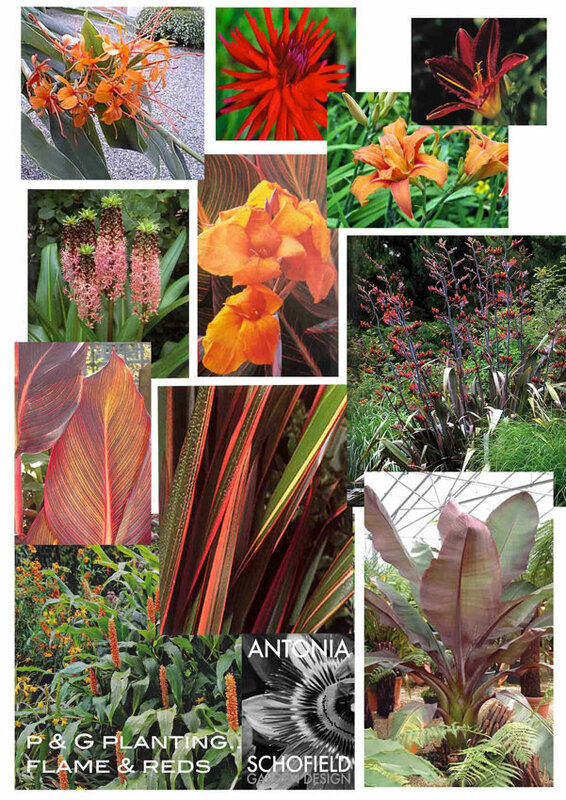 The flower colour scheme for the planting was restricted to hot oranges and reds to enhance the tropical jungley feel. A row of phillostaychis bamboo was planted across the back boundary to create a ‘green wall’ and when the tree ferns, grasses & persicaria went it things really started to look jungley. 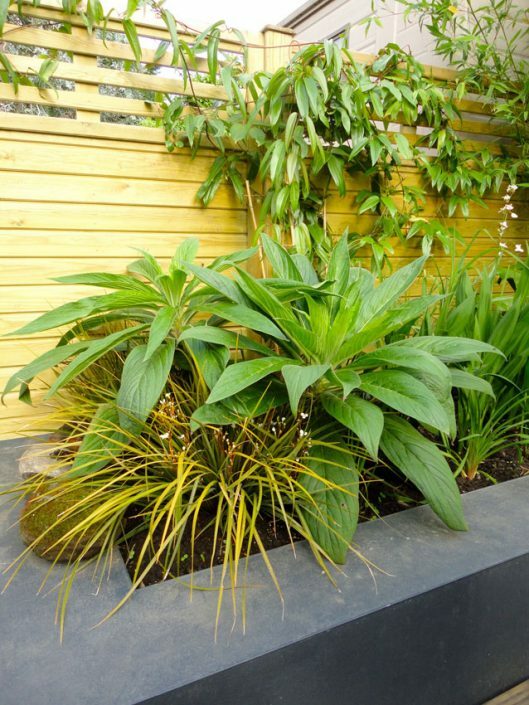 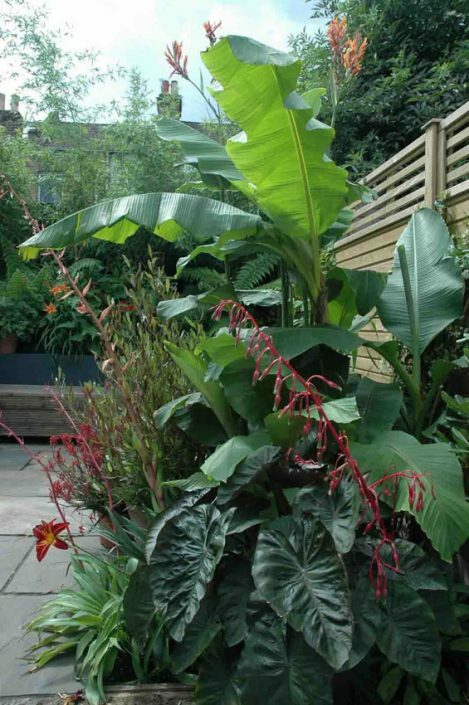 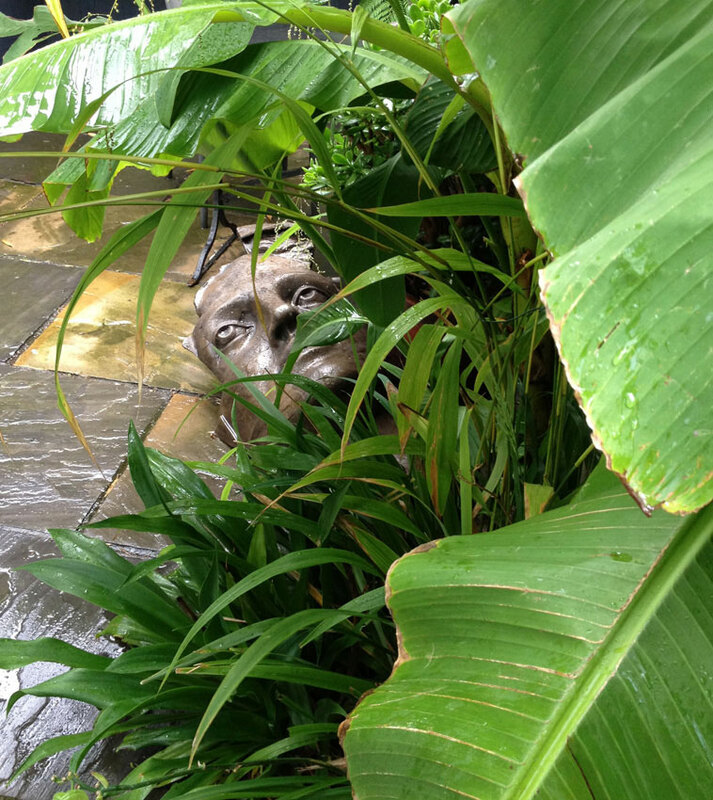 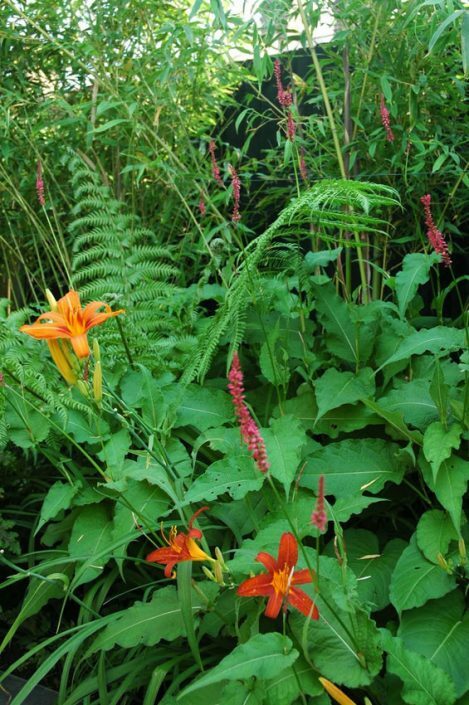 In the ground level border height was created by a stand of banana plants, cannas and ginger lilies.